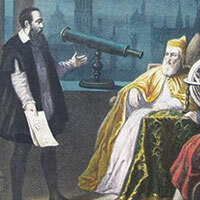 Noseweek 220 A modern Galileo? The backlash against Prof Tim Noakes’s ideas about nutrition is just the voice of vested self-interest. In 2013 Emeritus Professor Tim Noakes, then still head of the University of Cape Town’s Sports Science Centre, contributed just one chapter to a bombshell of a book, The Real Meal Revolution, which quickly soared into the book-sales stratosphere. Its dietary recommendations rapidly found traction with the South African public and anecdotal reports of success flooded in. The book’s message was that most people would be well-advised to abandon the widely recommended high-carbohydrate/low-fat diet and switch to the exact opposite: a low-carbohydrate/high-fat diet. From the early Seventies the received wisdom dispensed to patients by dieticians and cardiologists was that high fat was a recipe for heart attacks and a high cholesterol-level in the blood was the harbinger of a heart attack. A cardiologist put me on a high dose of Lipitor many years ago because my cholesterol level was 8. After a month I suffered severe muscle pain in the legs and was unable to walk without crutches. I was only taking Lipitor. A subsequent visit to a neurologist arranged by the cardiologist resulted in me being advised to stop the Lipitor medication immediately. To this day I am a cripple. You do not solve a scientific problem or controversy by dragging an individual proponent of a low-carb-high-fat diet before a tribunal. Authority-based medicine has little or no value, as has repeatedly been demonstrated throughout history. As for the controversy surrounding cholesterol and statins: The jury is still out on whether cholesterol on its own is a health issue and, similarly, on whether statins have any value whatsoever. It has always been open to his critics to invite Noakes to a debate in an academic environment. Tell the world you disagree with him. But to have hauled him before a tribunal of the HSPCA is a disgrace to all concerned. That is the gravamen of my argument. It is unfortunate that David Klatzow has given an unbalanced point of view, echoing mostly that gleaned from 'echo chambers'. My comments are not related to whether the LCHF diet works, but the fact that those raising voices that oppose Tim Noakes are not appreciated for the valid points that they make. 2. The dietetics establishment did NOT lay a complaint with the HPCSA, or argue, that the LCHF diet was ineffective or inappropriate for adults: their complaint was solely about Noakes' tweet about an infant coming off breast feeding and being advised to go onto an LCHF diet. In other words, their complaint was solely about the appropriateness of advocating LCHF diets to infants being weaned. Tim Noakes, and adherents, have manufactured the argument that dieticians, supported by Coca Cola, etc., are against the LCHF diet. 5. A constant thread of all the writing by Noakes, is how he has been defamed and poorly treated by the medical establishment. I have attended many of his talks, and I am taken aback how poorly he treats, and defames opposing voices that do not agree with him. For example, he constantly states that dieticians know nothing about nutrition. 6. Although many have benefited by losing weight on the LCHF diet, many have not. My wife and neighbour gained weight in spite of adhering strictly to the diet. Raising this at a paid-for Noakes event, his response was that she should count calories. When women did not lose weight adequately, yoghurt and dairy were arbitrarily removed from the green list. Goal posts are moved without scientific rationale. 7. Thousands of researchers and health professionals are involved in nutrition research. Of the hundreds of credible nutrition experts, less than a handful have concurred with Noakes, and these are low ranking (including some giving evidence at the HPCSA hearing). Noakes appears to suggest that all of them are in the pockets of Coca Cola, Nestle, etc. Are we to believe that there are no credible, independently minded experts who, based on their years of research and deep knowledge of the subject simply do not agree with him? In summary: an issue I am trying to raise is the one-sided support for Tim Noakes, and the sparse space given to the valid opposing points of view, which in many cases are absolutely appropriate. A slavish support of Noakes is a disservice, for it blinds readers to the fact that nutrition science is complex: both sides of the debate have very valid arguments, and both may be correct, depending on phenotypes. For example, for selected diabetics, the LCHF diet is useful. For others, it is disastrous. I can attest to both. 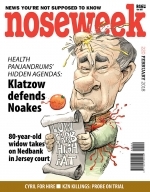 Another item: I listened to Noakes speak recently then went to lunch with a colleague who railed against him. Noakes is a quack and the only healthy diet is to eat "WHOLE FOODS" he fulminated. Guess what I found out afterwards? He has shares in a "whole foods" company! That's the way these guys roll. Damn disgraceful conduct by the vainglorious ego-driven "powers-that-be" who are driven by their sponsors, their overseas trips their weekends away, their speaking engagements and other childish perks. I have years of experience in the pharma rep world: MOST medical practitioners prescribe drugs PRESCRIBED TO THEM by attractive medical reps bearing clever incentives and showing glossy pamphlets of selected research which excludes all negative findings and summarises only the purported benefits of their drug. The medical world should be ASHAMED of itself.